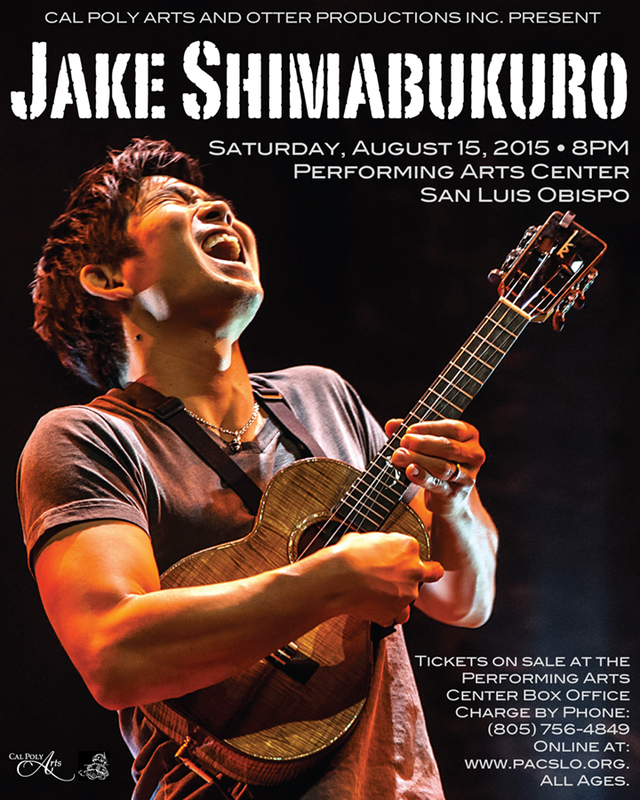 Jake Shimabukuro - Otter Productions Inc. | Otter Productions Inc. Jake Shimabukuro - Otter Productions Inc.
Jake Shimabukuro returns to the Central Coast at the Performing Arts Center in San Luis Obispo, Saturday night, August 15th, 2015. 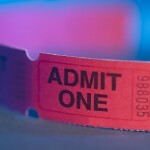 Advance Reserved tickets will go on sale Friday April 17th at noon at the PAC Box Office on the Cal Poly Campus, call (805) 756-4TIX (756-4849), or order on line at: www.pacslo.org. The Performing Arts Center is on the Cal Poly Campus at One Grand Avenue, SLO. All Ages. Consider the humble ukulele. It’s an adaptation of a stringed instrument that traveled with Portuguese immigrants who came to work in the sugar cane fields of Hawaii Islanders made the “machete” their own, mixing external influences of classical European music and Spanish guitar with Hawaiian songs. Native Hawaiians renamed the little machete the ukulele and it’s become synonymous with Hawaiian music and Hawaiian culture. Jake Shimabukuro comes from that same process of mixing both island and outside influences, both modern and historical. He’s combined the qualities of a long line of virtuoso ukulele players with modern rock musicians to create a sound that’s uniquely his own but still firmly grounded in Hawaiian tradition. Known for his energetic strumming on the ukulele, Jake’s performance incorporates elements of thoughtful, sophisticated arrangements to spontaneous, improvised passages. In addition to his original compositions, his repertoire includes Queen’s Bohemian Rhapsody, Schubert’s Ave Maria and Cohen’s Hallelujah. Jake’s solo career began in 2002 when he signed with Epic Records, becoming the first ukulele player to sign with Sony Music. His career skyrocketed when a cover of “While My Guitar Gently Weeps” went viral on YouTube with more than 13 million views. In the years since the YouTube clip aired, Jake has collaborated with an array of artists that include Yo-Yo Ma, Jimmy Buffett, Bette Midler, Cyndi Lauper, Jack Johnson, Ziggy Marley, Dave Koz, Michael McDonald, Bela Fleck and The Flecktones, Tommy Emmanuel, and Lyle Lovett – as well as orchestras around the world. He has topped Billboard’s World Music Chart numerous times, been declared a musical “hero” by Rolling Stone Magazine, which also stated: “one of the hottest axemen of the past few years doesn’t actually play guitar.” He has also won accolades from the disparate likes of Eddie Vedder who states: “Jake is taking the instrument to a place that I can’t see anybody else catching up with;” been talked about by Perez Hilton and Dr. Sanjay Gupta, wowed audiences on national TV with appearances on “Jimmy Kimmel Live,” “Late Night with Conan O’Brien,” “Good Morning America,” and “The Today Show,” and along the way has earned comparisons to musical innovators such as Jimi Hendrix and Miles Davis. Jake has been the subject of an award winning documentary “Jake Shimabukuro: Life On Four Strings,” currently on Netflix.